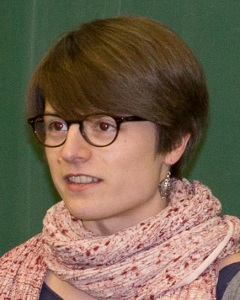 Andrea Bossmann (Diplom-Physikerin, Master of Science) studied Physics (Diplom) at Julius-Maximilians-University of Würzburg and Earth and Environmental Sciences (Master of Science) at the University of Michigan, Ann Arbor. Currently, she is research assistant at the University of Münster. 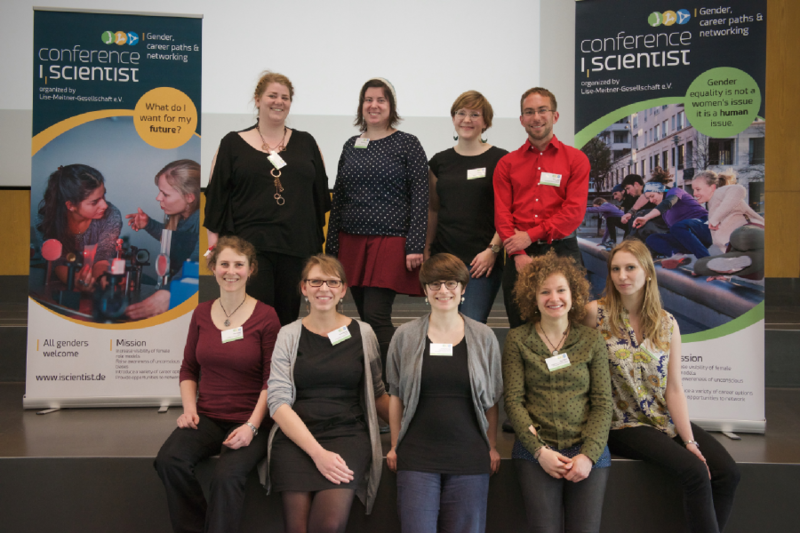 She co-organized the Deutsche Physikerinnentagung 2015 and the Women’s Careers and Networks Symposium (WoCaNet) 2016. Since 2015 she is a board member of the German Physical Society’s (Deutsche Physikalische Gesellschaft – DPG) working group on equal opportunities (Arbeitskreis Chancengleichheit – AKC). She initiated I, Scientist because she experienced the power and benefits of peer-coaching and thus wants to promote women’s networking. Moreover she realized that society, and science, are not gender-neutral and she wants to help raising awareness for implicit biases. 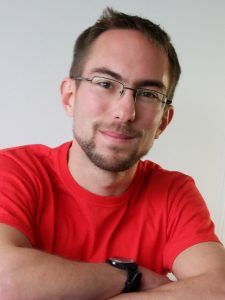 Daniel Kage (Master of Science) studied at Humboldt-Universität zu Berlin and is currently working on his PhD in chemical physics at the Bundesanstalt für Materialforschung und -prüfung (BAM) in Berlin. He recently became a member of the I,Scientist organization team in order to find ideas how to convince men of the importance of the topics addressed here in general and during this conference in particular. Indeed, there is no doubt that we still face inequality in our everyday life, and especially in the world of work. And we should be aware of the fact that this does not only concern women. However, as long as problems do not occur to ourselves or in our direct social environment, we often think about them as being far away. This conference is intended to shed light on those issues and make them feel more vivid. The reason for all genders to participate is: Sustainable solutions may only be found when all parties involved come together, exchange their view and jointly work on strategies! 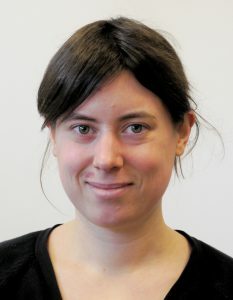 Franziska Flegel (Master of Science) studied Physics at Humboldt-Universität zu Berlin and is currently doing her PhD in applied stochastics at Weierstrass Institute for Applied Analysis and Stochastics in Berlin (WIAS). She initiated I, Scientist because she would like to increase the visibility of female role models with background in the natural sciences and mathematics. Moreover she observes that many women opt out after completing their PhD and thinks that there should be a broad discussion about the reasons. She believes that, in this context, it is important to talk about dual career options and how to combine a family with a successful career. Hanna Dierks (Bachelor of Science) studied her Bachelor degree in Physics at Humboldt University Berlin and is currently writing her Master thesis in analytical X-Ray microscopy at Technical University Berlin. She supports I, Scientist because she realized that the public opinion often assumes that our society has reached a satisfying level of gender equality, but being a women in the natural sciences is still often seen as something “uncommon”. She wants to encourage a public discourse about this contradiction in perception and help to increase the visibility of careers beyond the traditional norm. She is convinced that this discourse can only be productive, if it actively includes all genders and combines theoretical analysis with inspiring examples. 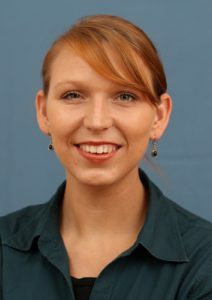 Jenny Fabian (Diploma in Biology) studied marine biology at the University of Rostock. She is a mother of two children and currently doing her PhD in analytical chemistry and biogeochemistry at the Leibniz Institute for Freshwater Ecology and Inland Fisheries (IGB). She initiated I, Scientist because she wants to highlight the barriers women face in pursuing a professional career, in particular regarding the compatibility of work and family. With I, Scientist she wants to support and encourage women for a professional career in science by providing a platform for education and exchange of strategies in implementing a professional career within a life friendly working environment. Further, she wants to promote the communication between men and women to successfully realize equal career opportunities for both genders in future. 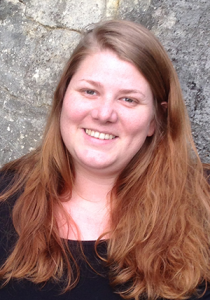 Katrin Reininger (Diplom-Physikerin) studied physics at University of Freiburg and is currently a PhD student at the Max-Born-Institute for Nonlinear Optics and Short Pulse Spectroscopy in Berlin. She co-organized the Deutsche Physikerinnentagung 2012 and is a board member of the German Physical Society’s (Deutsche Physikalische Gesellschaft – DPG) working group on equal opportunities (Arbeitskreis Chancengleichheit – AKC) since 2015. She initiated I, Scientist because she wants to support (young) women to be self-confident about their career choice and to show different opportunities how female role models made their way. She is aware of the still existing problem of unequal opportunities between women and men, but realizes that a lot of others are not. That’s why she wants to talk about this problem and try to find some good ways to deal with it. 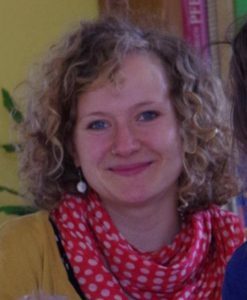 Leli Schiestl (Diplom-Physikerin) studied physics at Freie Universität Berlin and is currently project coordinator for the bilateral summer school “Diversity in the Cultures of Physics” at Freie Universität Berlin. Additionally she shares the project leadership of the MINToring at the physics institute of the Freie Universität Berlin. She initiated I, Scientist because she wants to create an interdisciplinary networking platform for women in the natural sciences and mathematics. Moreover she wants to bring natural scientists and mathematicians into contact with Gender&Science Studies. 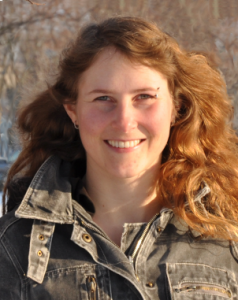 Maja-Olivia Lenz (Master of Science) studied Physics at Humboldt University Berlin and is currently doing her PhD at the Fritz Haber Institute of the Max Planck Society. She initiated I, Scientist because she realized that there are still prejudices about women, especially in Science and she wants to help eliminating them. Moreover she wants to give women the chance to connect and thereby build a strong community to overcome gender inequality eventually. She wants to help spreading the word to make people aware of these issues. She feels that there is an urgent need for networking events like this one to exchange experiences, get helpful input and learn about different career possibilities. 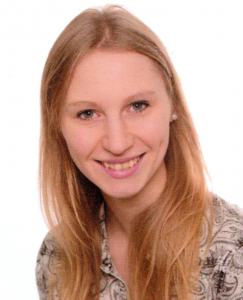 Mara Oßwald (Master of Science) studied Physics at Humboldt-Universität zu Berlin and is currently doing her PhD in biomolecular dynamics at the Max-Born-Institute for Nonlinear Optics and Short Pulse Spectroscopy in Berlin. She initiated I, Scientist because she wants to combine a conference about career opportunities/paths for natural scientists/ mathematicians, with a conference about the still persisting gender related obstacles/inequalities, because you can not talk about the one without talking about the other! Furthermore she wants to provide a platform for the exchange of information, for raising the visibility of women in the natural sciences and mathematics, networking and simply being inspired by others. Additionally, having trained Jiu-Jitsu (martial art) since the age of eight and being a trainer herself now, she sees many women/girls that limit their possibilities/potentials not just regarding their professional career but in general, by not believing in themselves and being too self critical. With I, Scientist she wants to give women the opportunity to learn more about themselves and maybe get closer to who they really are and what they can do, not what they were told they can or can not do.